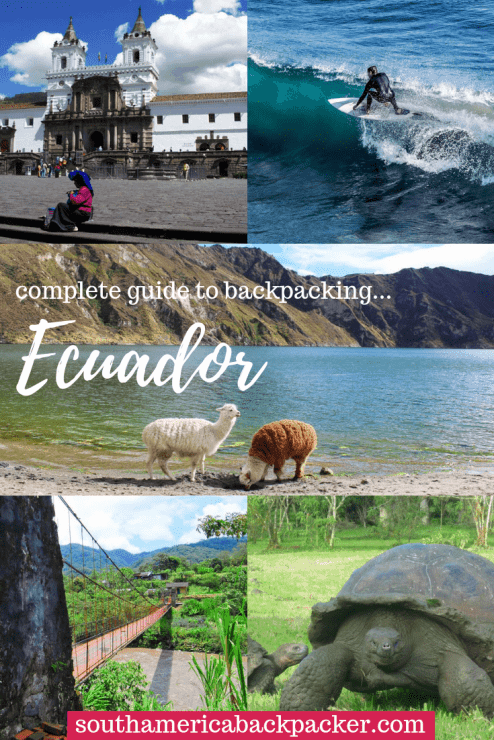 Backpacking Ecuador - All You Need To Know To Plan an Epic Adventure! When is the best time to visit Ecuador? Top 10 Places to Visit in Ecuador! 10 Amazing Adventures in Ecuador! 5 Essential Ecuador Backpacking Tips! EAT! Arroz, frijoles, and plátanos are synonymous with Latin America and this country is the best place to grab a cheap and wholesome plate! DRINK! Pilsner, the beer of choice of most Ecuadorians, goes down smooth every time. LISTEN! To “Las Corazas” one of the most famous mestizo musical groups from Ecuador. SPEND! Ecuador is the only country in South America where the currency is US Dollars. The American dollar has been the official currency since a financial crash in the year 2000 crippled its former currency, the Sucre. Read on to find out EVERYTHING you’ve ever wanted to know about backpacking Ecuador! 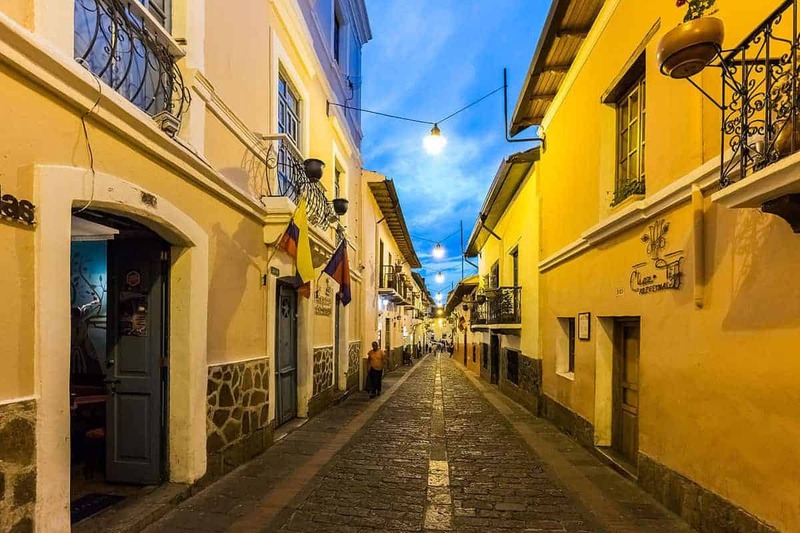 Ecuador is a fairly small country when compared with the rest of the giants of Latin America, which means that travellers can experience extreme diversity with minimum travel time. There’s the Amazon rainforest which dominates the East side of the country, the dramatic peaks of the Andes mountains running smack down the centre, a coastline rich in diversity, and then off in the Pacific those little islands that a man called Darwin made famous. When it comes to nature, Ecuador is unsurpassable. If you’re here to spot wildlife then you won’t be disappointed! Did you know that in 2008 Ecuador was the first country in the world to declare that nature has constitutional rights? It’s difficult to pin down the best time to travel to Ecuador, as it totally depends on where you want to go. Some Ecuadorians will tell you that especially in the highlands, there’s a short Winter, a short Summer, then a very long Winter. Because of its location on the equator, the sun rises and sets at the same time every day, no matter what time of year it is. Oriente (Rainforest): The best time to go to the Oriente is between June and September when there’s less rainfall. Heavy rain is common between April and July, which can cause major travel problems. Sierra (Highlands): If you’re planning to visit the Sierra and the Oriente in the same trip, then you’re in luck as you will get the best weather between June and September here too. The days are sunny and it’s easier to see the likes of Cotopaxi and Chimborazo when the skies are clear. October and November start off sunny, but usually, you will have rain and/or thunderstorms in the afternoon, and December to May is cooler and rainy from dusk ‘til dawn. Coast: The coast’s high season is from December to April. 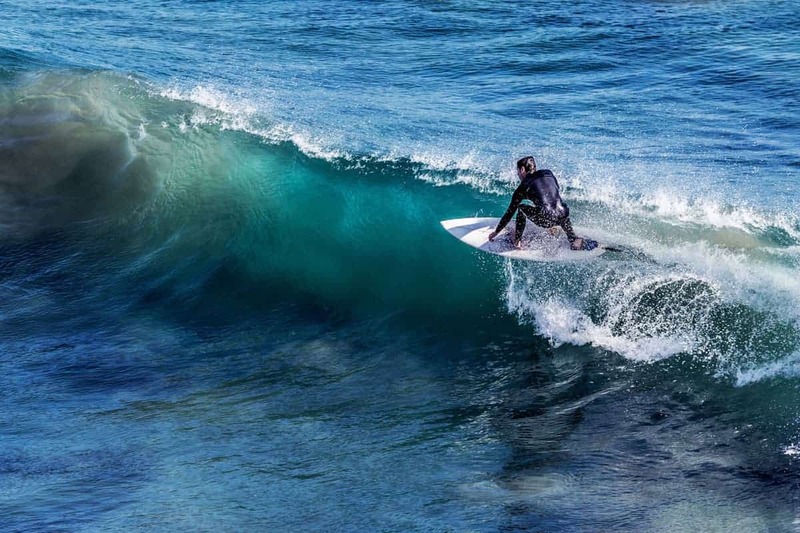 In the South, surfing conditions are good all year round. Galapagos: Any time is a good time to go to the Galapagos Islands. There are two distinct seasons. The warm and wet season lasts from January to May, and this is when most tourists visit the islands. The landscape is colourful, due to the blooming of flowers, and it’s also when the majority of bird species mate and the sea turtles nest. The cool and dry season lasts from June to December, and the Highlands are often misty. It’s a bit cooler – 18 – 20 degrees versus 25 – 30, but that means you have more chance of seeing penguins. It’s also a better time to go diving. The biggest drawback of coming at this time of year is that the seas are much rougher. If you suffer from seasickness, try the high season! Made up of 21 volcanic islands about two hours off the coast of Ecuador, the Galapagos Islands are many people’s sole reason for visiting Ecuador. Although the mainland has a lot to offer, it’s easy to understand why. The Galapagos are one of the world’s most incredible destinations. They’re utterly magical and the residents, both human and animal, will capture your heart. 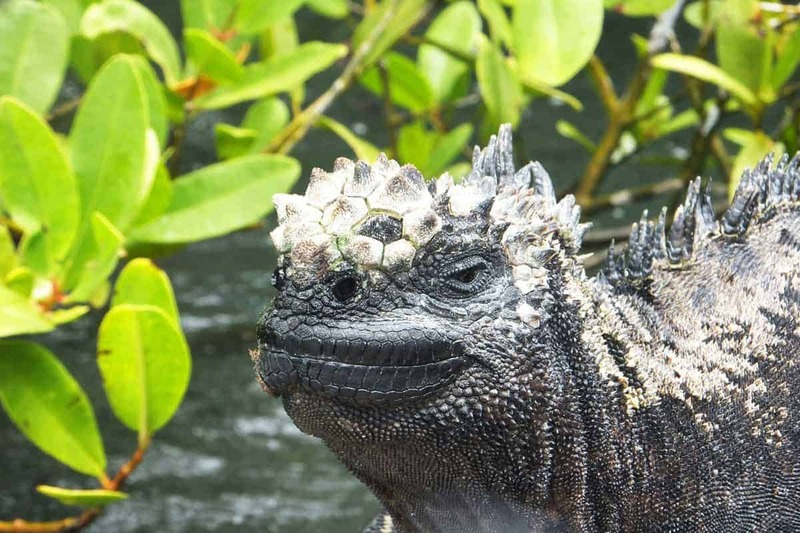 The bizarre creatures of Galapagos, Ecuador. Although Baños is Ecuador’s adventure capital, it has something for the more chilled out tourist too. It’s named after the hot springs dotted about the town, rather than the public convenience. 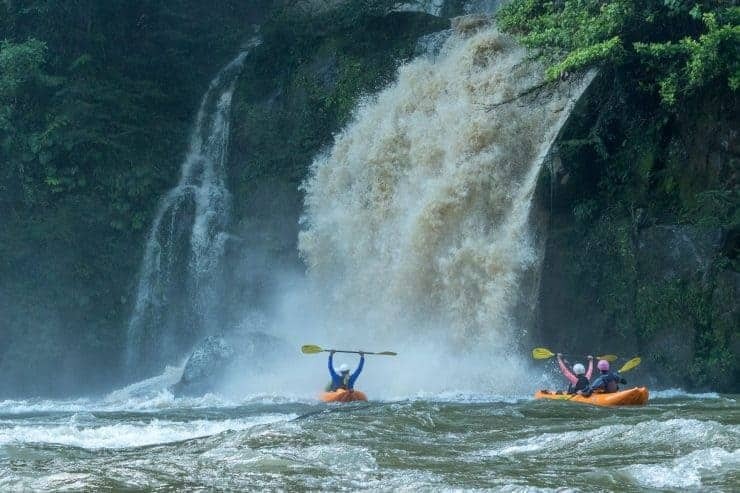 A cool place to visit is the Devil’s Cauldron waterfall, and if you really want to get the adrenaline flowing, there’s an endless list of activities: ziplining, puenteing (very much like bungee jumping), mountain biking, and rafting. It’s the most popular backpacking spot in the central highlands, so it’s best to book accommodation before you arrive. The capital city of Ecuador, Quito, has everything. From a stunning, UNESCO world heritage colonial city centre, to great nightlife in Plaza Foch, to kitschy attractions at the middle of the world, you’ll certainly not be bored here. There are several viewpoints where you can get great panoramas of the old town – try el Panecillo, a huge statue of the Virgin Mary, or the towers of San Francisco cathedral. If you want a vista of the entire city, take the teleférico, a cable car which scales the side of the Pichincha volcano. Biking is a great way to see the city, as there are several bicycle lanes and large parks. On Sundays, Avenida de Amazonas is closed to cars and buses. The colonial architecture of Quito, Ecuador’s splendid capital city. Otavalo has one of the biggest indigenous markets in South America, where you can buy handicrafts, clothes made of alpaca wool (they’re very warm), and hammocks. If this isn’t enough for you, there are several great hikes around the city, including Peguche waterfalls, Fuya Fuya, and Cuicocha lake. Vilcabamba’s relaxed atmosphere and great weather attracts lots of tourists. In fact, there are more foreign-owned businesses here than any other city in Ecuador. The hippie vibe means that vegans and vegetarians have lots of restaurants to choose from, and a welcome relief from the meat/potatoes/rice combo that is prevalent all over the country. Stay here for a few days and chill. The weather here is perfect for horse riding and hiking, and it’s close to Parque Nacional Podocarpus. 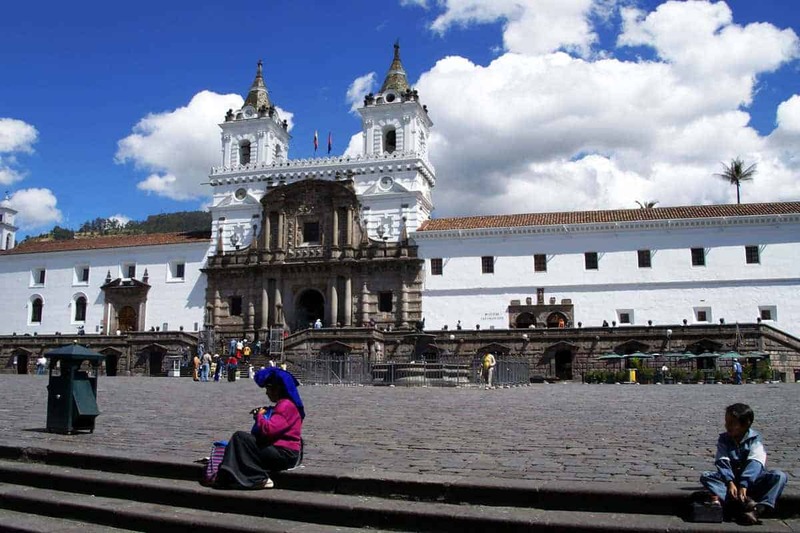 Like Quito’s city centre, Cuenca is another UNESCO world heritage site, famous for its beautiful historic centre. Domed churches, huge open plazas, and some of the best nightlife and restaurants in Ecuador mean that you can’t miss this place. Furthermore, it’s arguably one of the most picturesque cities in Latin America, so you can take some great snaps here. Don’t forget your camera! Finally, if you’re wondering why there are so many Panama hats around, it’s because it was actually invented here, no matter what Panamanians tell you! 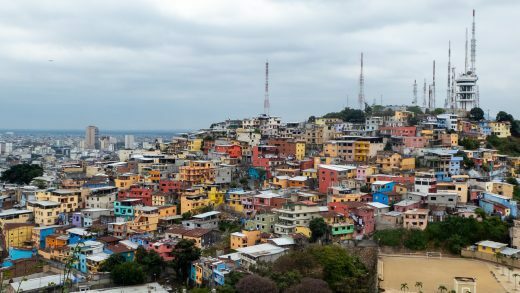 Officially Ecuador’s second city, but actually bigger than Quito, Guayaquil is often seen by backpackers as a stopover, rather than a destination in itself. That doesn’t mean it’s not worth a visit! 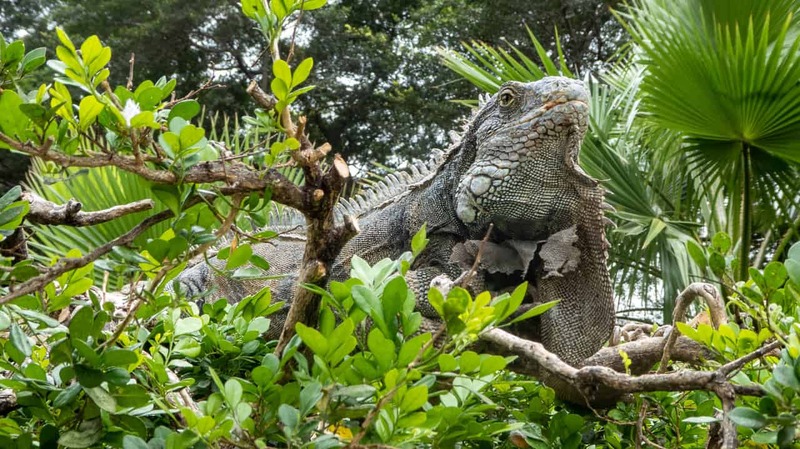 The once-neglected Malecón has been regenerated into an excellent waterfront square/promenade and there are plenty of things to do in and around the city, like spot huge Iguanas for instance! All flights to the Galapagos either originate in or pass through Guayaquil, so it’s a good excuse to spend a couple of nights here if the islands are on your itinerary. An Iguana hanging out in Parque Seminario in Guayaquil, Ecuador! A tiny village in the northern Oriente, with a population of less than 1000. You’re not coming here for the village though! The 2-hour trip from Quito is totally worth your time and money, as you can relax in the village’s many hot springs. These 40-degree springs are located 3km above the village and offer spectacular views of the snow-capped Antisana volcano. The nights here are cold, but the sun is intense, so bring plenty of sun cream. 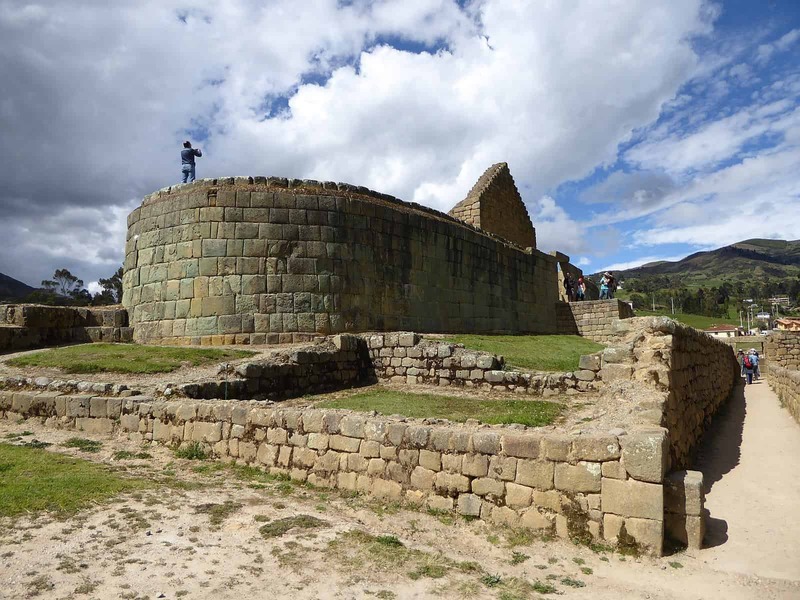 The Incan ruins of Ingapirca are Ecuador’s answer to Machu Picchu. You can take the 3-day Camino del Inca hike from Cuenca, or if you’re shorter on time, do it as a day trip from Cuenca. These pre-Columbian Cañari ruins were originally used as an observatory, and the Temple of the Sun, where virgins were sacrificed, is still very much intact. Thankfully, there are no sacrifices carried out nowadays, virgin or otherwise. Ingapirca. Ecuador’s answer to Machu Picchu. Loja is a great place to get off the grid and have an authentic experience of an Ecuadorian town. Many people skip it in favour of Vilcabamba or Cuenca, but there’s plenty here to keep you occupied for a few days. Loja has a vibrant music and food scene, and it has a prestigious university which contributes to a cool art scene. The downside is that there aren’t loads of hostels to choose from, but that shouldn’t put you off. Another draw is the proximity to Parque Nacional Podocarpus. Galapagos, Ecuador - The Ultimate Budget Guide! There are plenty of amazing adventures to be had across Ecuador. Because of the three regions, there is a huge amount of things to do, whatever you look for in a holiday. These adventures are all pretty amazing and therefore are written in no particular order. Standing at 6,268m, Chimborazo is the highest mountain in Ecuador, the tallest volcano in the world, and it’s also the closest you can get on Earth to the sun. It’s possible to climb, but it’s also a great place to practise your mountain biking skills. In the last few years, a mountain biking track has been carved into the mountain. 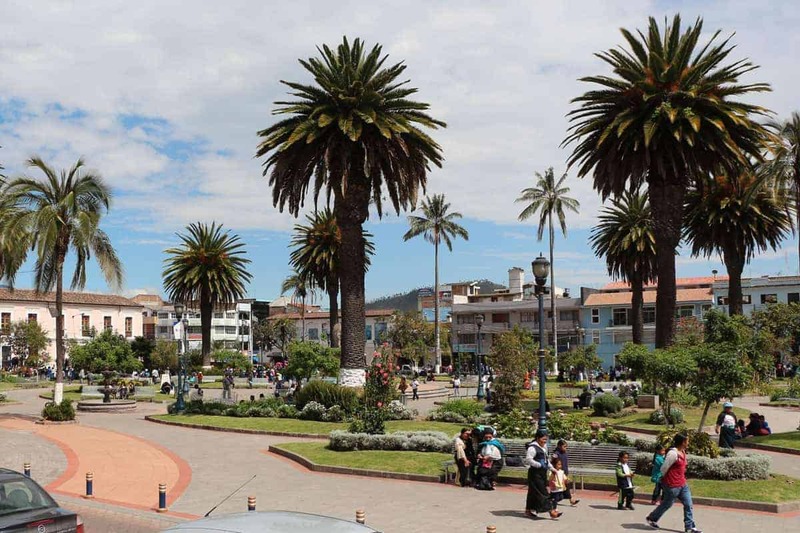 Many tours operate out of Riobamba, and you can find the most experienced guides at Probici. No trip to Ecuador is complete without a trip to the astonishing Galapagos Islands, where the animals were left alone for so long that they’re not even afraid of humans. Follow in Darwin’s footsteps to hunt for blue-footed boobies, marine iguanas, sea lions, and giant tortoises. Those on a budget should consider doing a DIY trip, but if you’ve got a bit of cash, another option is to take a cruise, which will enable you to visit uninhabited islands that you can’t get to on day trips out of the main island, Santa Cruz. Read more about budget Galapagos trips here. The biodiversity in this part of the Amazon basin is unmatched by anywhere on Ecuador’s mainland. 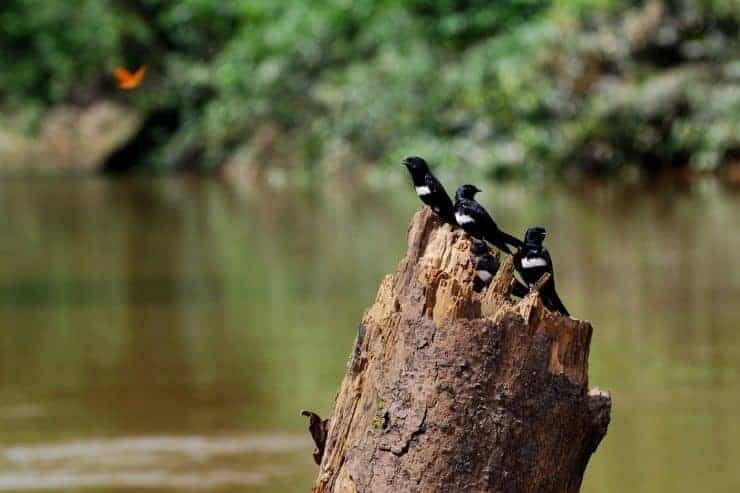 There are so many animals here, including jaguars, caimans, harpy eagles, and over 600 species of bird, that UNESCO have declared it an international biosphere reserve. It’s difficult to get around, and easier to navigate by canoe. There are two indigenous tribes in the park, the Tagaeri and the Taromenane, who are not in contact with the outside world. Unfortunately, an attempt to stop oil companies drilling in the national park failed, so now is a good time to see it before it’s destroyed. Mindo is a charming town located up in the cloud forests, meaning it’s one of the best places to go birdwatching in the whole of South America. If your budget stretches to it, stay in one of the treetop lodges. Most are outside of the ramshackle city centre, but they offer the best chance of spotting the rarest birds. 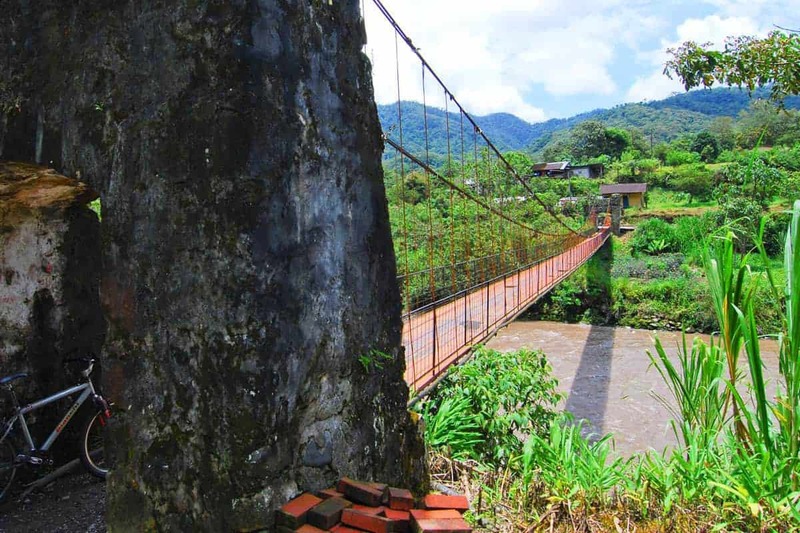 There are also hiking, mountain biking and canyoning opportunities in Mindo. 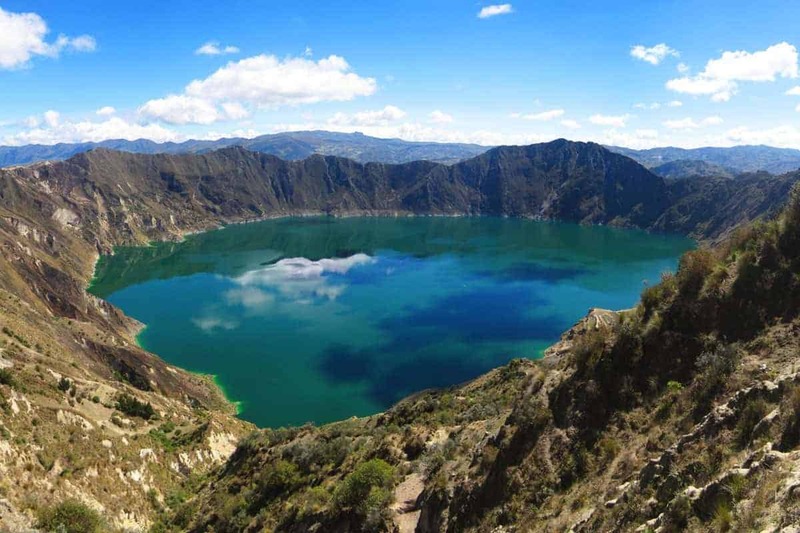 The Quilotoa Loop is an epic hike that takes you from the town of Latacunga into the heart of the Kichwa speaking highlands, to a beautiful, blue crater lake. Spend at least 3 days doing the loop, but if you have more time you can volunteer on sustainable development projects, or just stay for a few days and soak up the atmosphere of indigenous villages, which come alive on their respective market days. If you don’t fancy hiking, you can always hitchhike or take a taxi, but there are no buses that travel the whole loop. 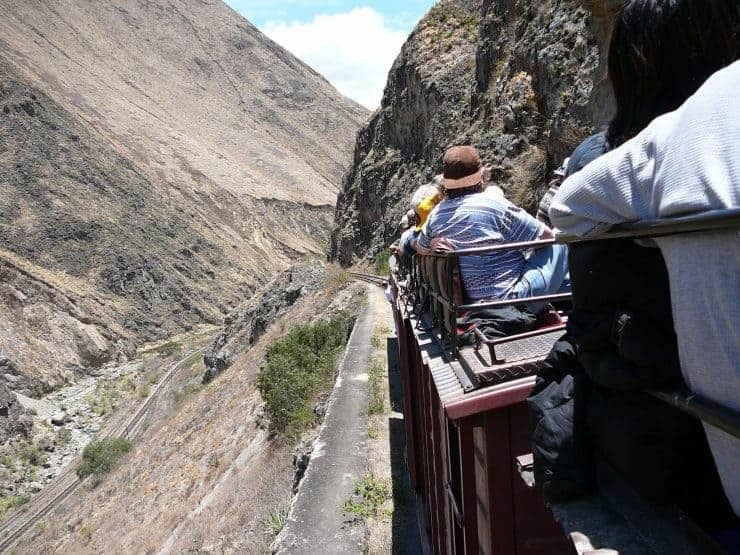 The Nariz del Diablo (the Devil’s Nose) is a beautifully restored touristic train that travels from Alausí to the indigenous village of Sibambe. When built in 1902, it was one of the most dangerous and difficult railroads in the world. Now, it’s a peaceful journey through a valley where you can experience jaw-dropping views and join in with the traditional music and dancing of the Nizag indigenous tribe. 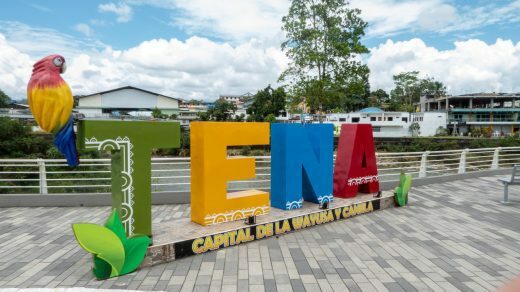 Tena and Macas are both gateways to the southern Oriente, and this is where you’ll find the longest stretch of whitewater in Ecuador, meaning that there are a few tour operators here who offer tubing, rafting, and kayaking. When you dry off, this is also a great place for shamanic rituals and visits to the Shuar community, one of the larger Amazonian tribes. It’s best to go with a professional guide, as some villages will flat out refuse solo travellers. Check out our full article about rafting in Tena here. 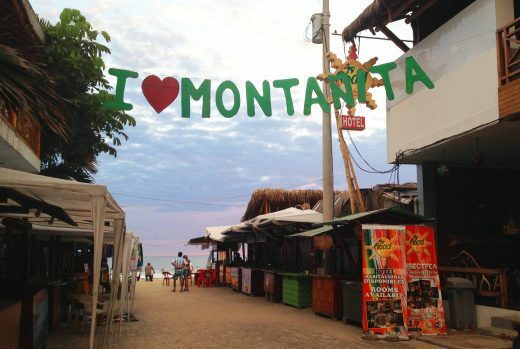 Montañita is a raucous backpacker town, with the South American to Gringo ratio almost equal. It’s the surfing and party capital of Southern Ecuador, and the boarding conditions are perfect all year round. You might end up here a lot longer than you originally intended, nursing that mojito hangover – you wouldn’t be the first! 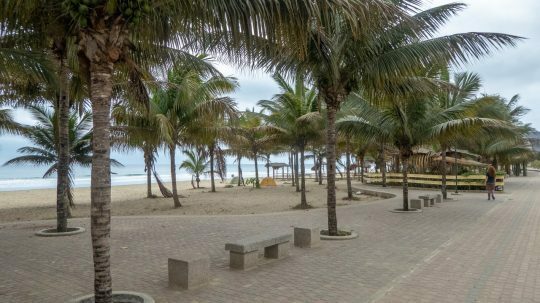 For a much more chilled surfing scene, check out nearby Ayampé. A great place to go if your budget doesn’t stretch to the Galapagos, or you’re short on time. Puerto Lopez is the gateway to Ecuador’s only coastal national park, Machalilla, and Isla de la Plata, where you can see a plethora of bird life, including charming blue-footed boobies. There are several tour operators who offer diving or whale watching trips too. 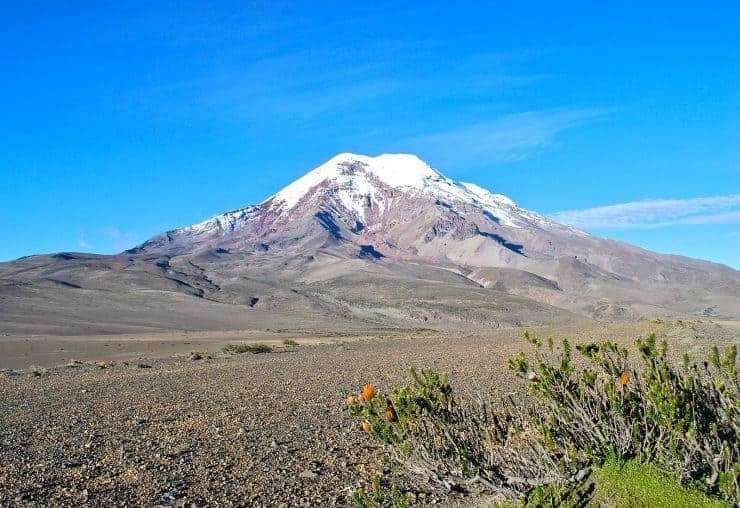 Although Chimborazo is Ecuador’s highest mountain, Cotopaxi is easier to get to from Quito. There are several tour companies that will take you from there, but it is a difficult and physically exertive climb. 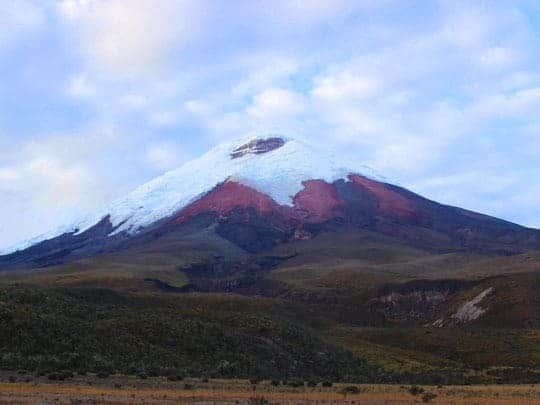 If climbing isn’t your thing, you can get beautiful views of the volcano from Cotopaxi national park, where if you’re lucky you might spot deer, condors, and spectacled bears. Waterproof Jacket – You’re going to need this, especially in the Sierra and the Oriente, and if you’re planning on any mountain climbing. Remember, the higher up you go, the weather is very changeable. You don’t want to be caught unprepared in a hailstorm. Something like this packable unisex rain jacket will do the trick. Walking boots – If you’ve been paying attention to the article so far, you’ll realise that Ecuador is a fantastic country for hiking. Although some hikes are doable in trainers, the likes of Chimborazo, Cotopaxi and other mountains have a lot of loose shale meaning you need a decent grip to stay safe. Some tour operators rent out hiking boots, but I’d suggest bringing your own. Daily rental can be expensive, as is buying a decent pair out here. Invest in a good brand boot like Merrell and they’ll last you for life. Sweatshirt/jumper – Why would you need one of those? You’re going to be on the equator, right? Yes, but in Quito and the highlands, it can get mighty cold. Especially at night. Don’t worry too much if you forget yours, you can pick up a super trendy and super warm alpaca wool sweater at most markets for around $15 US (with a bit of haggling). Sun cream – Something that I always forget to wear. Just because it’s not 30 degrees doesn’t mean you don’t need to wear it, you can get burned even when it’s cloudy! The number of red gringos you see her is crazy – pack factor 50, and some after sun too. Just in case. Spanish/Kichwa phrasebook – There are two official languages in Ecuador, Spanish and Kichwa. Spanish is widely spoken in the cities, and it’s always good to know a few basic phrases. 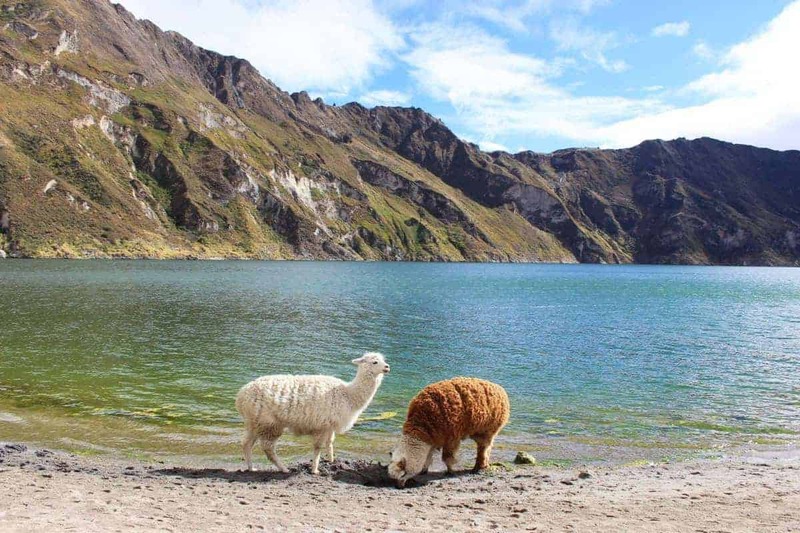 If you’re planning to do the Quilotoa loop, it’s a good idea to learn some phrases in Kichwa too, as a lot of indigenous people speak this ahead of Spanish. Swimsuit/microfibre towel – Not only is Ecuador a great place for surfing, but there are also several hot springs, waterfalls, and freshwater lakes which are great for jumping in and cooling off. A swimsuit and a microfibre travel towel are essential to enjoy these. Backpack – Bring a strong and sturdy backpack to Ecuador. If you’re going to be travelling around, it’s much easier to throw this in the luggage compartment of the bus, or the boot of a taxi. Many historic centres have cobbled streets which will ruin the wheels of your suitcase too! 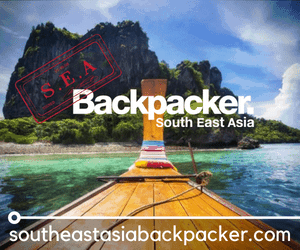 You’ll be surprised at how quickly your backpack will fill up with souvenirs from local markets… Check out our readers poll on the best backpacks for travelling. Camera – This one is a no-brainer. Many parts of Ecuador are simply breath-taking. There are a few things to be wary of with your camera though – petty crime can be a problem, especially in bigger cities at night. Attach your camera with a sturdy strap and store it safely when you’re not using it. Many Ecuadorians I’ve met have been happy to have their photo taken, but it’s best to ask their permission first. 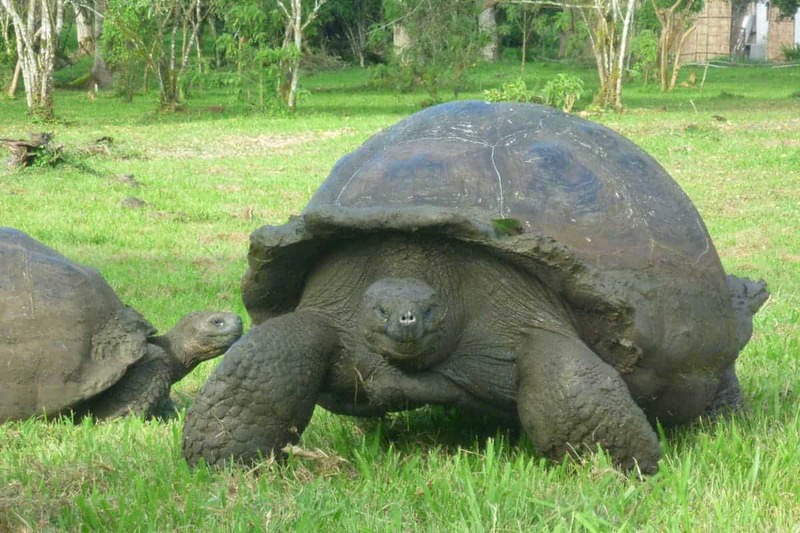 Flash drive – Many tour operators in the Galapagos Islands take photos of you enjoying their trips. Afterwards, they’ll offer to put them on your memory stick free of charge. 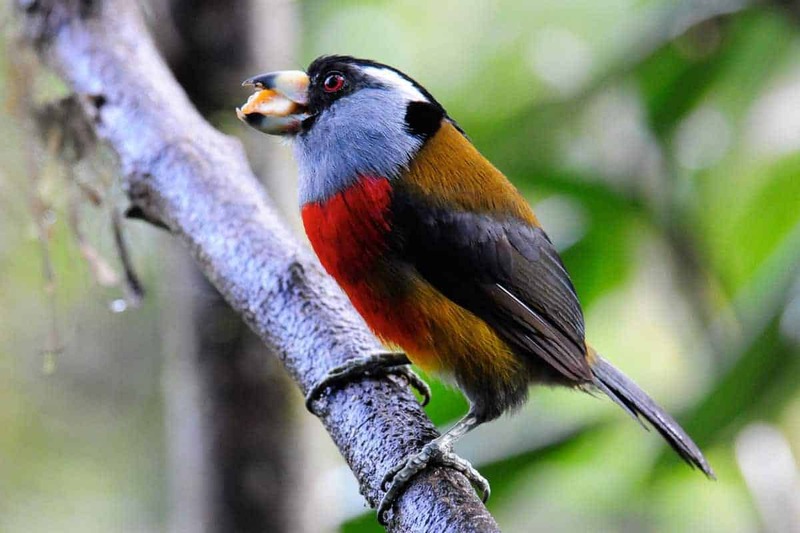 Binoculars – There are several spots in Ecuador where you can go bird-watching. Some, like hummingbirds, benefit being viewed with binoculars because they’re small. Others, like the Andean condor, don’t get close to humans, so are also best seen through them. Refillable water bottle – Water isn’t safe to drink from the tap here – if you do, there’s a high probability that you could get a stomach parasite. In hotels and public areas, you can often find drums of potable water, where you can refill your bottle. For most mountain climbs or hikes, you will need at least 2 litres of water, so having a reliable filtered water bottle is a good idea. Insect repellent – You can forget this if you’re in the highlands, but below,1500m, it’s absolutely essential. If you go to the Oriente without this, you may well end up having a miserable time. The most effective repellant we’ve come across is Jungle Formula. US Dollars – Yes, the currency in Ecuador is the US dollar! You’ll look really stupid if you ask for an Ecuadorian peso at your local exchange office. Trust me. Tourists from most countries can travel for up to 90 days in Ecuador without a visa. If you’re planning a longer stay, you can get a cultural or professional visa. Your passport must be valid for at least 6 months when you arrive. You can find more information about Ecuadorian visas on their government website (in Spanish). According to the World Health Organisation, there are several vaccinations you should have for travelling to Ecuador. These include Hepatitis A and B, yellow fever, TDAP (tetanus, diphtheria and pertussis), Measles, Mumps and Rubella (MMR), chicken pox, shingles, pneumonia, and influenza (flu). It’s also a good idea to get a rabies vaccination. There are lots of stray dogs in Ecuador, and although attacks aren’t common, it’s better to be on the safe side. Ecuador has some amazing volunteer programs where you can work at animal reserves, and if you’re working at one of these, it’s essential to get a rabies jab, as a bite from an infected animal needs to be treated within 24 hours. The jabs give you a bit more time to get to a hospital and mean you’ll need 1 or 2 follow up injections, rather than 5 if you go without the vaccine. It’s recommended to take malaria pills in Ecuador if you are 1,500m or less below sea level. Therefore, if you’re travelling to the coast or the Oriente, it’s a good idea to pack them with you. The North of the country is riskier than the South. If you’re only travelling in the Sierra (highlands), there’s no risk of malaria. In fact, there are very few insects at all so high up! Check out more health advice for Ecuador on the NHS Fit For Travel website. Like many countries in South America, it’s a good idea to exercise some level of caution when travelling in Ecuador. Take out travel insurance to cover any expensive goods, as the most likely crime to happen is petty theft. Armed robbery is rare, although it’s a possibility in Quito and some of the coastal areas. Don’t walk around alone at night in Quito and Guayaquil, and always make sure that you have the address of your hostel on you at all times. In smaller cities, check with your hosts which areas are safe to go out at night, and any if there are any places you should always avoid. Make sure your taxi is licensed. Unlicensed taxis have been known to commit secuestro exprés (express kidnapping), where you are forced to withdraw money at an ATM and then abandoned on the outskirts of town. Fortunately, this is a rare occurrence. Taxis will have a sign on the side saying which cooperative they work for and are supposed to have emergency panic buttons in the rear seats which track GPS and alert police to the taxi’s location. Don’t carry your valuables on day trips. Especially in areas popular with tourists. Leave them in your hotel, or at least have them securely hidden in your bag. Carry a money pouch. These are like bumbags (or fanny packs to the Americans reading this) that you can hide under your clothes and are a much better way to carry large sums of money than your wallet. Be cautious (but not paranoid) in bus stations and on buses. Theft is common, especially on night services. If your bag is slashed, it’s unlikely you’ll notice straight away. Use common sense when accepting food or drinks from strangers. It may be drugged. Avoid the Colombian border crossing at night. There have been reports of bandits and robberies. At the time of writing, it’s the only part of Ecuador that the British government has issued a red warning for. All in all, using your common sense is the best way to staying safe in Ecuador. Don’t let any pre-conceptions of South America put you off having a good time, just make sure you are aware of your situation. Ecuador has a wide range of accommodation choices catering to the needs of every kind of traveller. In the bigger cities you’re really spoilt for choice, but in some of the smaller towns and villages, you might have to put up with some inconveniences like uncomfortable beds, traffic noise, and worst of all, cold showers! It’s best to have cash on you to pay, as paying by credit card will incur a charge of between 5 and 10%. Accommodation is usually more expensive around religious celebrations (Christmas and Easter), and local fiestas. In the more popular backpacking zones such as Quito, Baños and Cuenca, you’ve got plenty of choices when it comes to hostels. 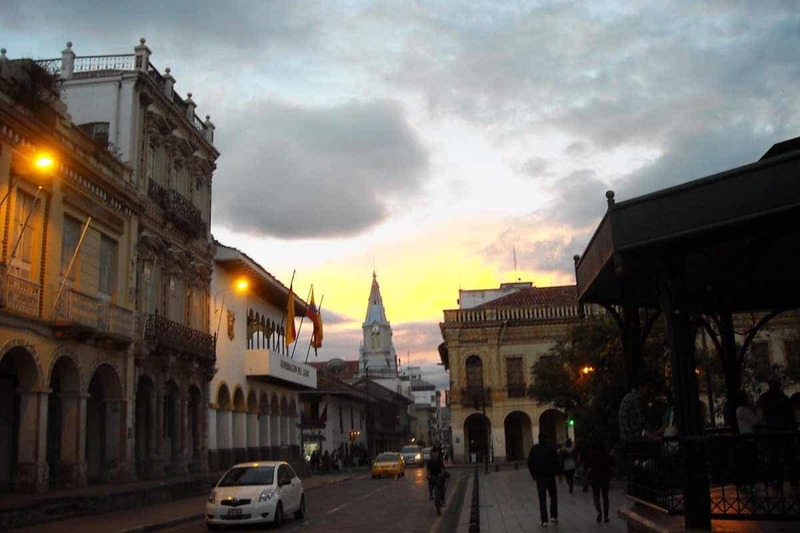 In Quito, most are around the Plaza Foch area, which is the main party zone for backpackers. In some of Ecuador’s smaller towns and cities, you might find it trickier to come by a hostel. Hostels start at around $7 US for a bed in a dorm and go all the way up to $20-25 US for a private room. Usually singles and doubles/twins are around the same price. Not everything is on Hostelworld, so it’s a good idea to try Booking.com as well. You’ll find a hotel in every town or city in Ecuador. The cheapest are around $10-15 US per person and will be fairly basic. There’s a chance you’ll have to use a communal bathroom too. Mid-range hotels can cost up to $80 and they offer a lot of mod-cons and a good location. In the biggest cities, and resort areas, you can find luxury hotels. All hotels have to charge a 12% sales tax, which is usually included in the price, but sometimes it won’t be. Top hotels also add a 10% service charge. In the Oriente, and in the Andes, you might want to stay in a lodge. Lodges are usually included in a tour package and have a minimum stay of 3 nights. They can be expensive, but they’re a great way to see wildlife and they’re normally eco-friendly and sustainable buildings. There’s not a lot of difference between bed and breakfasts and hosterías. B & B’s are more especially popular in tourist destinations. An hostería (the h is silent) is another name for a small hotel, and there’s not always a lot of difference with a B & B. Hosterías regularly offer rates with full board and activities like horse-riding. You can camp in most of the National Parks in Ecuador. You’ll need to bring your own tent and sleeping bag. If you’re in the highlands, it gets cold at night so it’s a good idea to invest in a robust tent and a thick, downy sleeping bag. You can also stay at mountain refugios, but they may not be the most comfortable option. On the highest mountains like Cotopaxi and Chimborazo, there’s a chance that you’ll spend the whole night up vomiting, due to the altitude. If you book far enough in advance, you can fly to the capital city, Quito, for between £350 – 400 GBP from London. Sometimes, you can get better deals if you fly from the UK to Madrid with a budget airline, then fly either directly or with a stopover in the US or Bogotá to Quito. Guayaquil is also an option to fly into. If you fly through the US, you need to get a transit VISA, which costs $14 US. Compare cheap flights on Skyscanner. Taxis should cost between $25 – $28 US from Mariscal Sucre to the centre of Quito. Ecuador has an extensive network of coaches which travel between most towns and cities. They’re comfortable, and usually, you’ll be treated to a pirated movie (usually something with lots of machine guns in). I would suggest bringing headphones with you, noise cancelling if possible. Buses depart regularly and usually cost between $1 – $1.50 per hour of travel. In cities, it’s best to take taxis. Ask drivers to use their taxi meters, otherwise, you’ll be paying over the odds. In Quito city centre, you can reach most places for $5 or less. In smaller cities, you’re more likely to be paying $1-3. If you want to go to the Galapagos, all flights pass through Guayaquil. You can fly with LATAM or Avianca, for around £300 return. LATAM is slightly cheaper than Avianca. If you’re staying more long-term and get a residential VISA, you can get flights around half the price. While on the subject of the Galapagos, inter-island boats cost between $25-30 for day trips and are the easiest way to travel there. Ecuador has a rail network, but it’s mostly used for tourist routes such as the Devil’s Nose, Tren Crucero, (Cruise Train) and el Tren de Hielo (The Ice train). Most tourist trains do day trips and end up back at their original destination. A bed in a nice hostel dorm will set you back $10 in most cities, although it is possible to get one for even less. A private room in a hostel or a mid-range hotel is going to be between $30-$40. Eating on a budget is easy – almuerzo (a cheap and filling lunch) is available in many restaurants or markets for $2.50 – $3.50. Almuerzo consists of soup (usually with a large chunk of mystery meat sitting in the middle, but you can ask for it without), a main course of a variation of rice, meat, potatoes, plantain, and salad, accompanied by a fresh fruit juice. Take note that most places outside of tourist areas will stop serving almuerzo around 2-3pm. If you find yourself fancying Western food, you’re going to paying closer to the $10 – 12 mark. Bike rental is cheap, and a great way to see cities on a budget, as are taxis. Unless you’re in a hurry, it’s always better to take a bus over a flight. Most day tours, whether they are adventure sports, mountain climbing, or wildlife watching, will be in small groups and will set you back between $60 – 80. When it comes to budget, the Amazon, and especially the Galapagos can really mess that up. A jungle lodge in the Amazon is amazing for wildlife watching, but it can set you back up to $250 per day. Be aware that on the Galapagos, you’ll pay 3 times the mainland price for pretty much everything. Hostels here start at $20 – 25, but the real killer is the cruises. It’s said that they’re the best way to see the islands, but they start at around $300 per day, and that’s before it comes to tipping the staff! If you’re on a budget in the Galapagos, do day trips from Santa Cruz. Whatever your budget, factor in the national park entry fee of $100, flights of at least $350 return, and you’re going to spend at least $1,000 for a week on the islands. Ecuador may look small on a map, but don’t try to see everything in a short period of time. It’s a great introduction to South America as the country boasts rich culture, distinct environments, and it’s relatively easy to get around. The US dollar also saves a lot of headaches when trying to work out conversion rates! Each region offers something different. In the highlands, it’s very starchy, but the coast (especially in the North) has a lot more variation in flavour, thanks to the African influence. Try the food but don’t do too much too soon. Market food is sometimes made with unfiltered water and can give you diarrhoea, or at worst a parasite (easily treatable, but unpleasant). 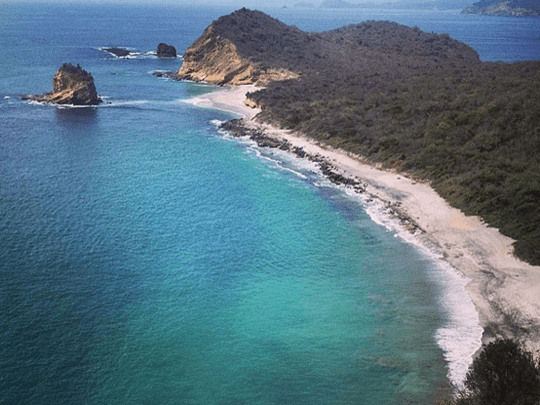 The best piece of advice for Ecuador is not to fall into the trap that many people do and assume that Ecuador is just a stop off on the way to the Galapagos islands. Spend time soaking up the sun and taking in the waves on the coast, enjoying the awe-inspiring beauty of the highlands, and embracing the incredible bio-diversity of the Oriente, the beginnings of the Amazon. However you choose to spend your trip in Ecuador, you’ll have the trip of a lifetime! 5. Get yourself an Alpaca Jumper! Seriously, it will be one of the best purchases you make. These sweaters are super warm and a must-have for every backpacker to Ecuador! This guide was written by Dan Hall: Dan is an English teacher based in Ecuador. He has visited over 40 countries and lived in Thailand, Spain, Italy and is currently on the trip of a lifetime in South America. If you want to read more about his current trip, check out his blog, The Curious Vicuna. Dan is an English teacher based in Ecuador. He’s visited over 40 countries and lived in Thailand, Spain, Italy. He’s currently on the trip of a lifetime in South America. Interested in becoming a writer for us?